This show, in Beckman Auditorium, is presented by Caltech Public Events with the Pasadena Folk Music Society as a media partner. Mention the Folk Music Society when ordering or purchasing tickets and you will receive a $5 discount on each one (regular prices are $25, $30, $35, $10 for youth). Caladh Nua is a tightly-knit, vibrant band with its origins deeply rooted in the Southern counties of Ireland. Comprised of five versatile musicians and singers playing a wide selection of instruments – from fiddle to banjo, guitar to bodhran and tin whistle to button accordion – the band has captured the essential qualities of traditional Irish music and balanced them finely with an innovative contemporary flair. Through a series of international tours and festivals across the globe, which saw the band take the stage in cities such as Paris, Vienna, Copenhagen, Berlin, Mumbai and Vancouver, Caladh Nua has cast a uniquely captivating net of Irish music and song over an ever widening worldwide audience. A long list of TV and radio broadcasts of their performances and two acclaimed recordings includes American Public Radio, the BBC, and RTE. 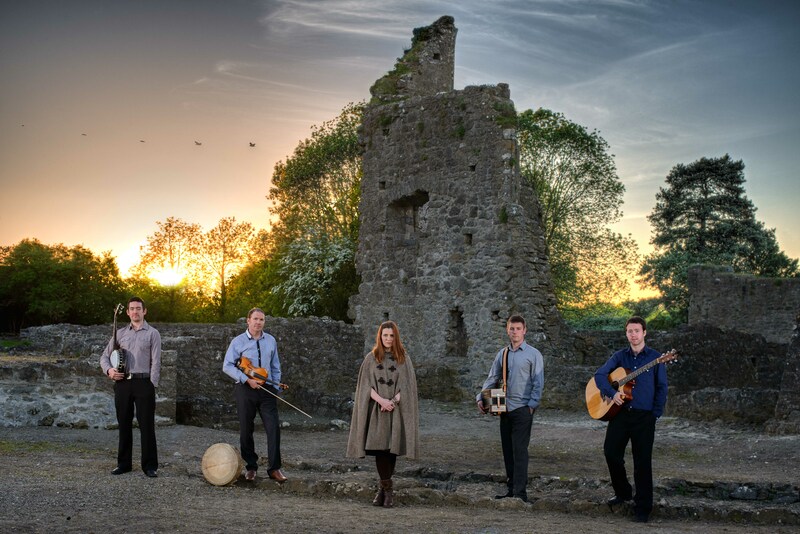 Performing a vast repertoire of haunting songs and evocative Irish tunes, Caladh Nua is a young ensemble on the rise.